I had a pear, chocolate and hazelnut tart recipe stashed away for the occasion (well, actually, for the 2 year marker I totally missed in March) but when I actually tried it on Sunday it wasn't anything special. So instead of sharing that, I decided to delve back into my old notebooks and pull out an early recipe for pear and chocolate crumble. 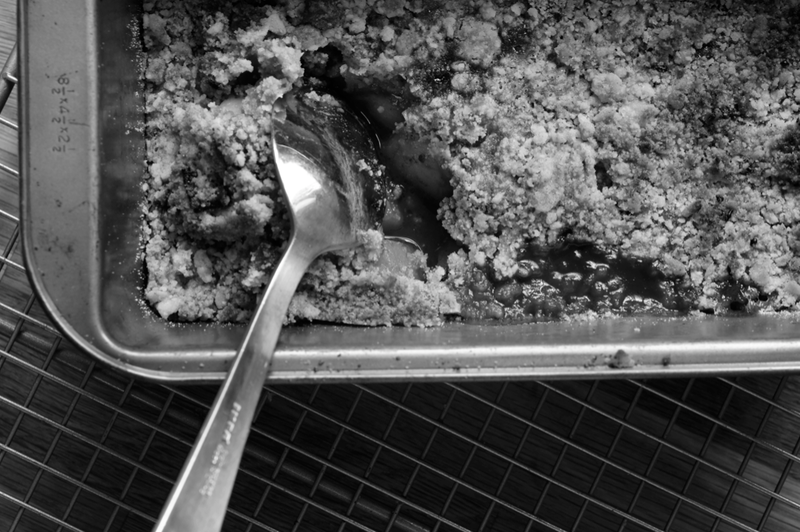 Maybe I should have gone for a showstopper (like the Butterfly Fleur de Sel Caramel Cake I made for my 100th), but this humble crumble (heh) is what I felt like eating. Poires au Chocolat is named after a few recipes I created back in 2009 that gave me my first feelings of satisfaction while recipe testing. 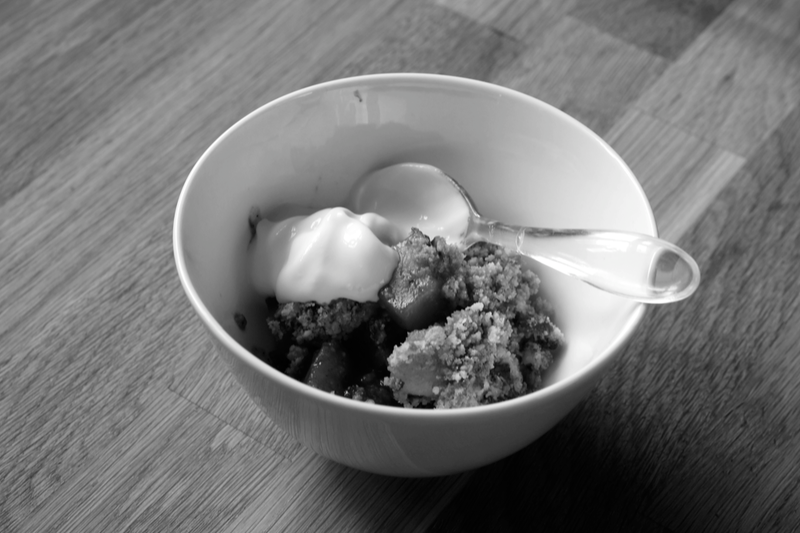 Though the cake was the real eureka moment, I love this crumble too. I have a necklace with a little gold pear pendant to remind me of that feeling and of where this whole dream came from. The post I wrote for my first blog birthday was special. It was in that post that I first revealed to the world that I wanted to train as a pastry chef. 21 months later and here I stand as a student. I still can't quite believe that my dreams are coming true all around me. I want to share my experience at culinary school with you all in some way. I can't share the recipes or go through explaining all the techniques so instead I've decided to keep a photo diary of everything I make on Instagram, the photo app. At the end of each practical session I'll snap a photo and upload it - my account is poiresauchocolat if you're on Instagram or I will be tweeting a link every time. The photos for my first two practicals and a few other shots are on there already. In this way I hope I can share my highs and lows with you all. I like the progression of these photographs (to ruin the surprise) and the idea that a grayscale world turns colour after some rejuvenating pudding. Pudding has incredible powers of restoration. Tired? 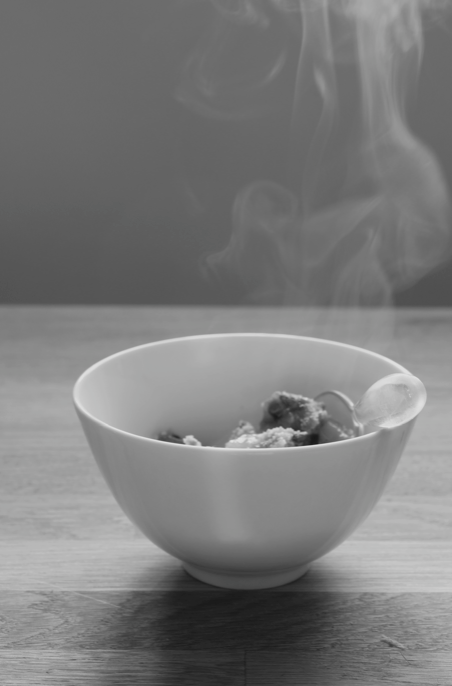 A steaming bowl of crumble will put you back on your feet. I ate mine with greek yogurt this time but proper custard is perfection. Preheat the oven to 180C. 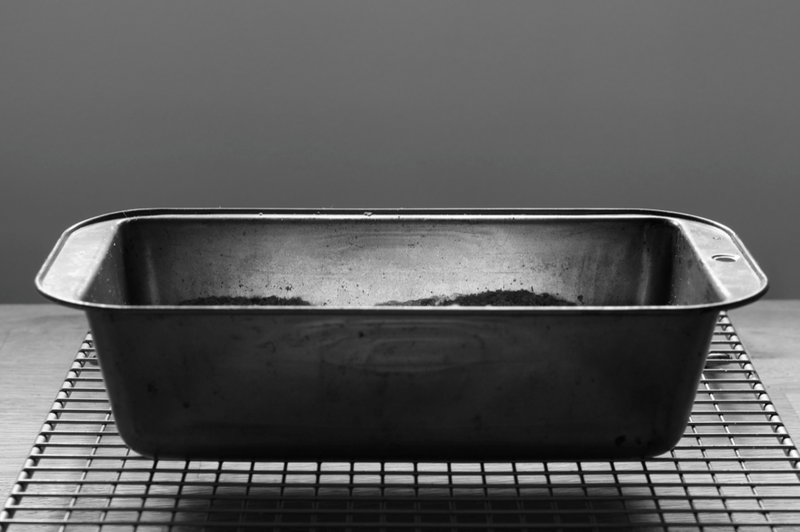 Sieve the flour into a bowl. Add the butter and rub in until you have fairly uniform crumbs. Stir in the sugar, cinnamon, ginger and nutmeg. Peel the pears and chop them into medium chunks. Place into a medium saucepan and just cover with cold water. Add the maple syrup and a dusting of the spices. Put over a medium heat and cook until the pears are just turning soft. Remove the pears to a small baking dish or tin (I used a loaf tin this time as I didn't have a dish). Keep the remaining water over the heat till it reduces to about 2/3 of its original depth. Pour the syrup over the pears in the dish. Roughly chop the chocolate and stud the pears with the chunks. Stir any little pieces of chocolate into the crumble mix, then top the pears with it. Bake for 30 minutes or until browned and bubbling. Congratulations, Emma! 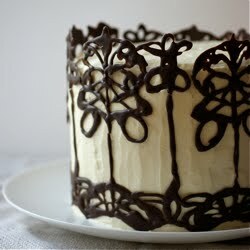 I am really loving reading your blog and drooling over your photographs of beautiful desserts. Hear, hear to following your heart! And chink to you too!! Cingratulations to such a great milestone. Too bad I don't have Instagram or else I would have been stalking your progress. I love the black and white pictures. I need to try one with steam showing. Looks great. Chink! Congratulations on the 200th post on this beautiful blog. Yours is one of the first blogs I ever read before I started blogging myself, and one of the few I return to time and again because the recipes are always so wonderful :-) Good luck with your training, and looking forward to many more posts in the future. Congrats on your 200th post and following your dreams! I've wanted to go to culinary school for the last few years so badly, but never quite found the school right for me. I ended up skipping that step and went straight to working in a patisserie. I've been living vicariously through you since your courses began (and you can bet I'll keep doing so--it's so fun hearing what you get to learn!). Keep doing what you love. Emiko - thank you Emiko! So glad you like the photos. Kirsten - Thank you! I've totally fallen for b&w - definitely in the middle of a phase :) I didn't intend to capture the steam, just noticed it and clicked away! Kristin - It's definitely difficult deciding to go to school or not and if yes, finding somewhere. I spent ages dithering. Glad you're getting on and living your dreams too! Congratulations, on both your 200th post and Le Cordon Bleu. Your blog is always inspirational - here is to the next 200! I make a pear and chocolate crumble and it is one of my favourite desserts that I make. I will have to try yours! Of course custard is perfection! Congratulations Emma. 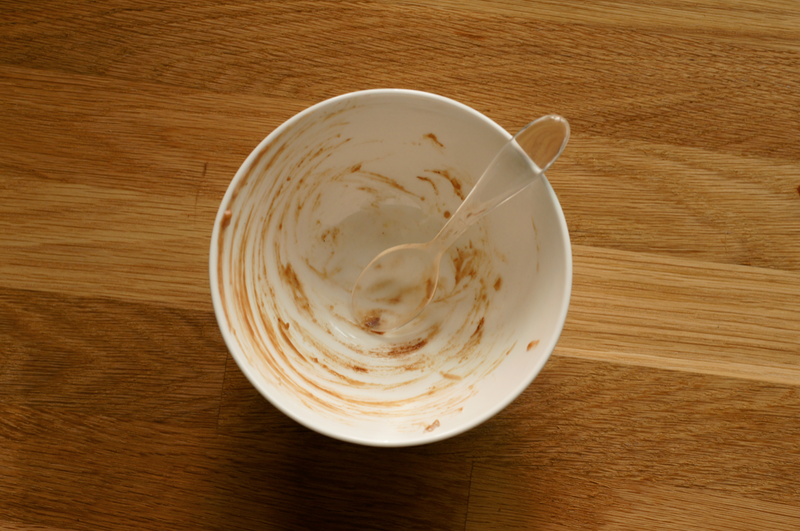 Love the empty bowl shot particularly. Guin Huntington - Thank you! I'm so glad you find it inspirational. Jolene - It's such a fab combination. I love pear crumble without the chocolate too. Sally - Indeed, custard is always perfection. I saw that I'd unintentionally scraped it out in a pretty way so thought I should take a shot! Congratulations on your 200th post! Your blog is beautiful and inspirational. It's so wonderful to hear you have had the courage to follow your dreams, I always admire people that do that. Love the pear and chocolate crumble. I have a pear and chocolate crumble I make regularly and know what a great combination it is. Congratulations on the 200th post! This sounds deeeeee-licious! Congratulations on your 200th blog post! And what a beautiful and delicious crumble - wow! It was so nice to meet you last night at the Cafe Direct event, and I was so interested to hear you are going to train as a pastry chef - I'll look forward to those pictures of your culinary adventures on Instagram! Jennifer - Thanks! It's such a fantastic combination - I'd love to see your crumble. Emma - Congrats on your 200th post! Pear crumple is one of my go-to recipes for fall, but I've never added chocolate - inspired addition!